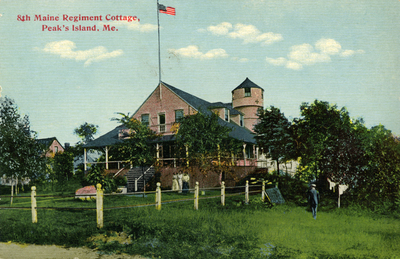 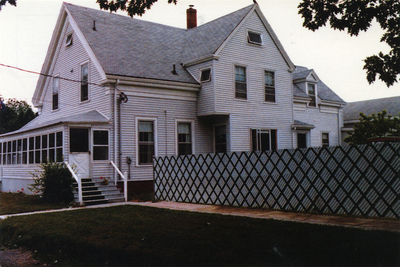 8th Maine Regiment Cottage, Peaks Island, Me. 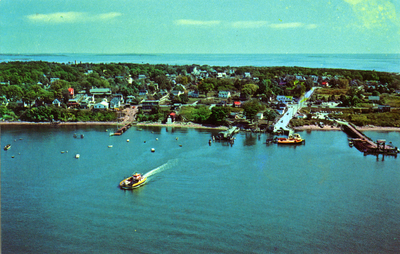 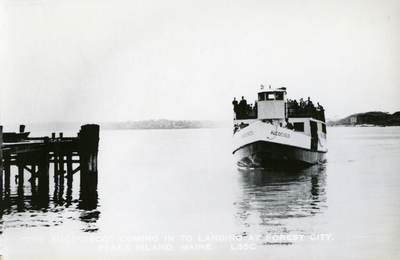 Aucocisco Ferry, Arriving at Forest City Landing, Peaks Island. 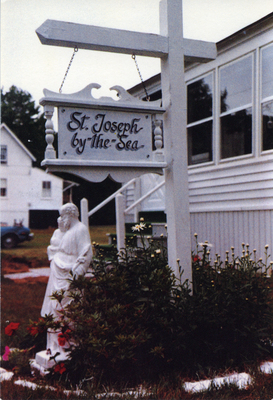 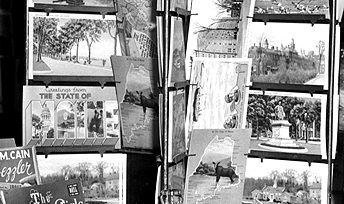 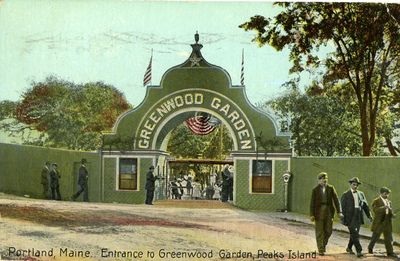 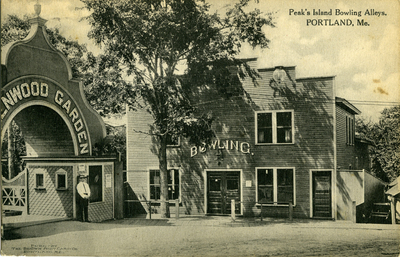 Entrance to Greenwood Garden, Peaks Island, 1914. 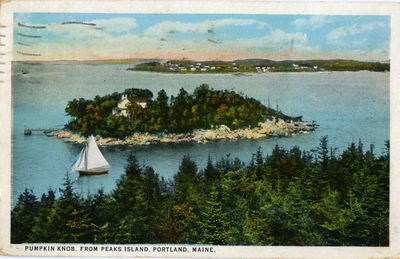 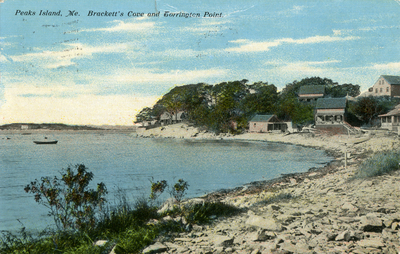 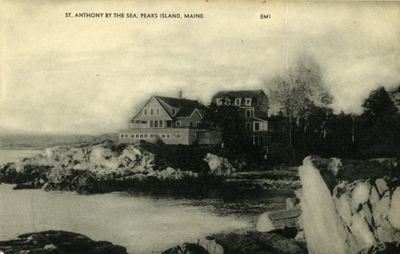 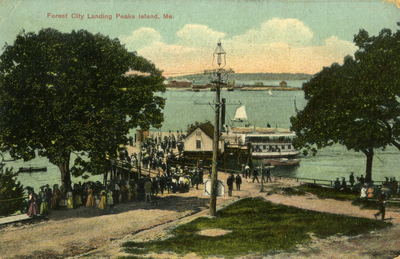 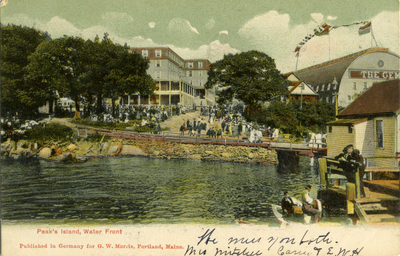 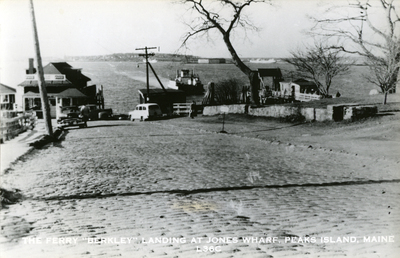 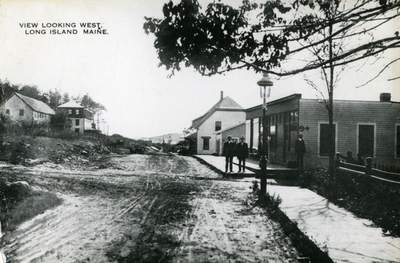 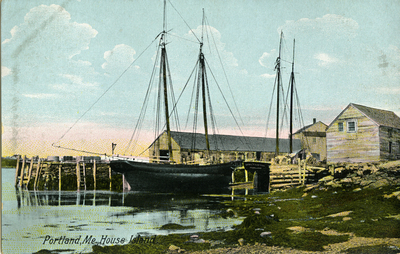 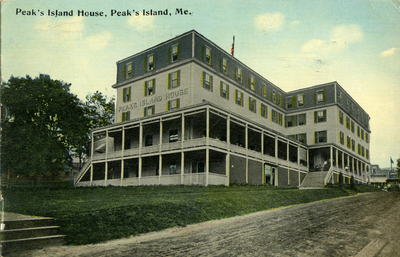 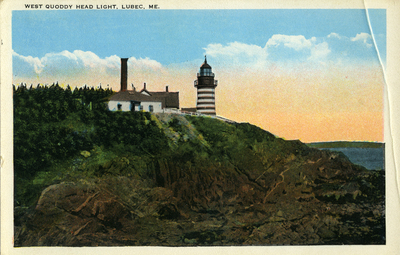 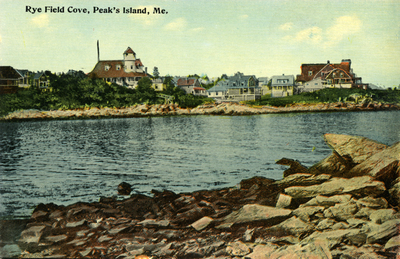 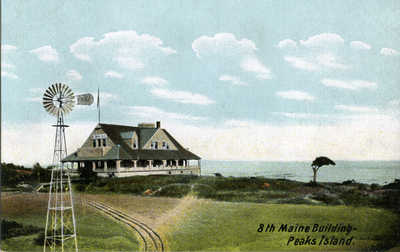 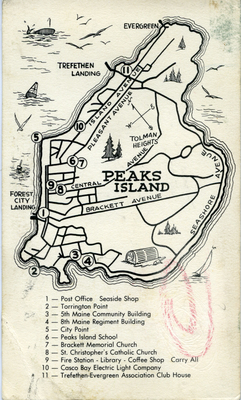 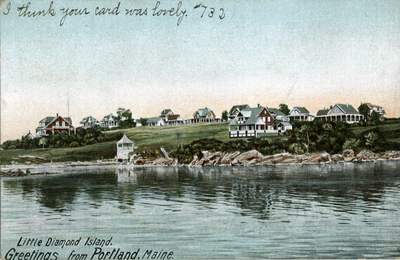 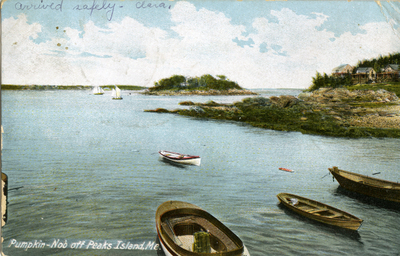 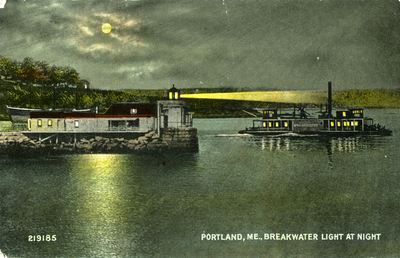 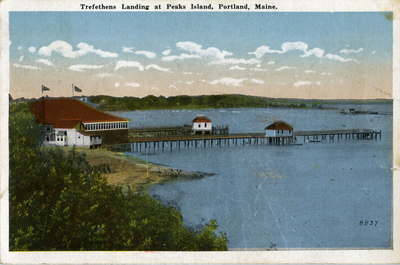 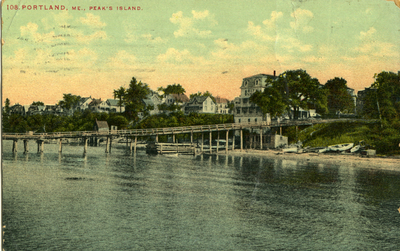 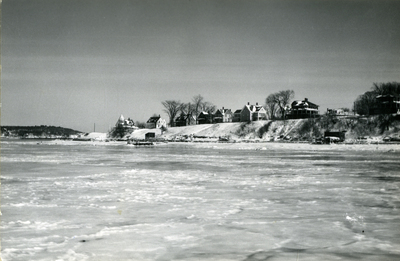 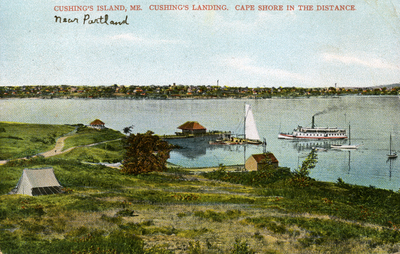 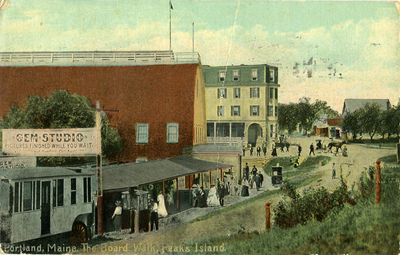 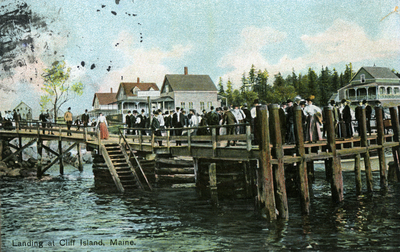 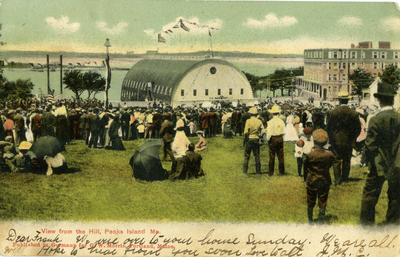 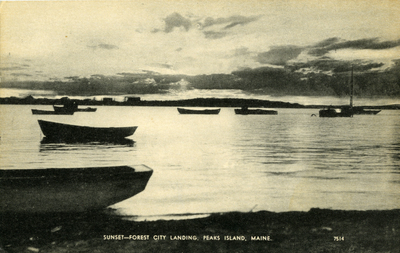 Forest City Landing, Peaks Island, 1908. 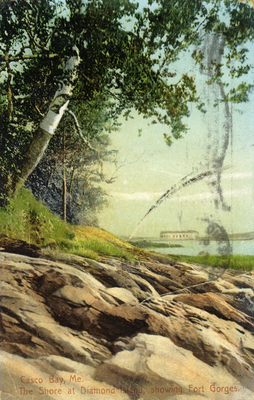 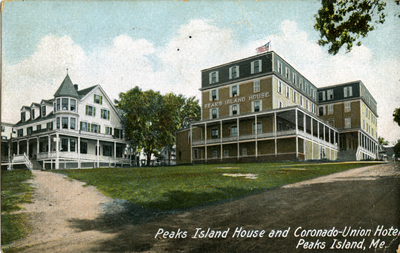 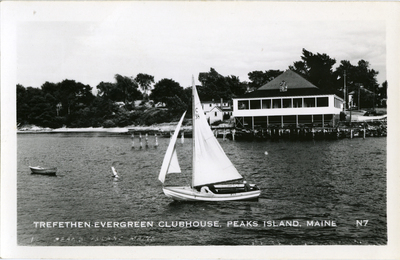 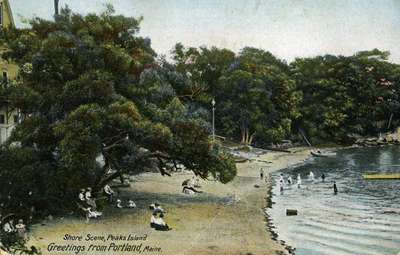 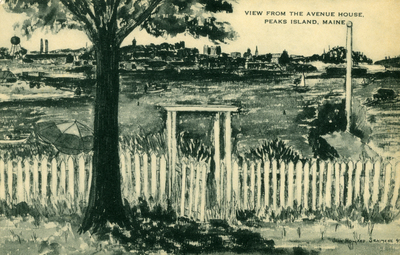 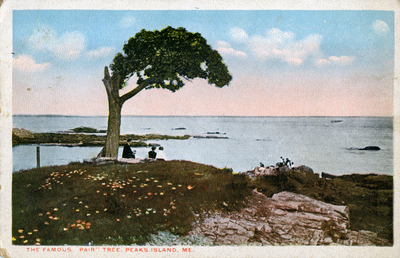 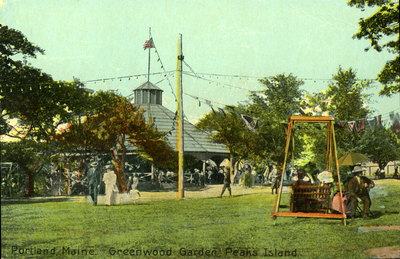 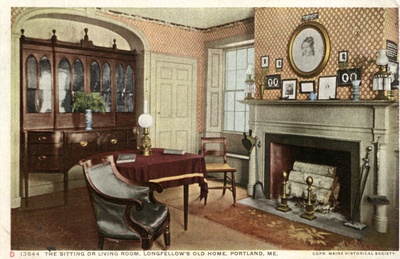 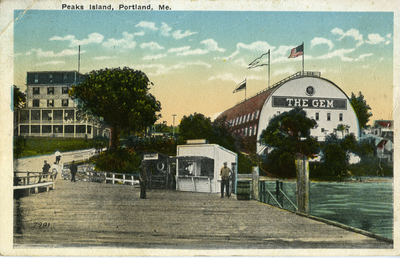 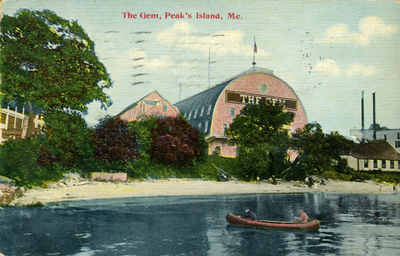 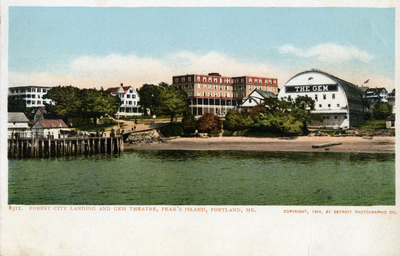 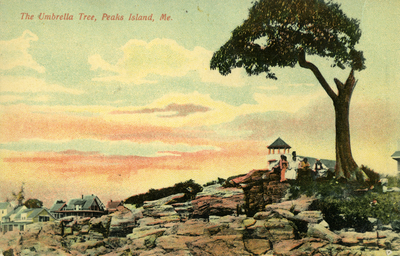 Greenwood Garden, Peaks Island, 1913.